"Partnered with RampedUp to support our Sales Teams that support both domestic and Indian BPO compani"
RampedUp delivers on Quality and Process. As GroupBDO had to make the change from our former database supplier, Data.com we were; quite frankly, a little scared of what the marketplace presented to us. We were use to getting information quickly and without fuss and after looking at several of the vendors we did not feel that we could see a fit until we came across RampedUp in the Data.com blog! We are glad that we did and have been very happy with our unlimited downloads and the ease of use. We have not encountered any negative feedback as of yet. Scott and his team is very accommodating in their support of new clients. Absolutely! The best platform for our company by far. Identifying new prospects and companies to call into on behalf of our clients. "RampedUp.io is one of the most useful Salesforce tools for outbound and ABM"
The tool is simple; it puts all of the information that a rep needs at his or her fingertips ... the history of all the pertinent the accounts, the kinds of things that "win" in the space, competitive information, and even a method for following the winning process. As a sales rep, who has used Salesforce, I would find the navigation super-easy and very useful, right at the moment that I'd need the information. There was nothing that I disliked about this tool. If you're looking for a way to quickly bring new inside or outside sales people into your organization, and equipping them with the tools they need to produce quick wins, then RampedUp.io is one of the simplest and most straightforward tools you will find. It enables businesses to train and on-board new salespeople, and bring them up to speed and enable them to become profitable in the shortest amount of time. "Account Based Marketing with Ease"
Rampedup.io gave us the ability to quickly identify the right people at the right companies with correct contact information. This allowed us to hone our marketing outreach into a super efficient process. Our open rates, click-through rates, and demos scheduled increased dramatically. We would love to see an integration that shows buying intent but that maybe impossible. Do not wait until it is too late to make the switch. We did not have accurate contact data for potential customers. And, importantly, we could not clean the inaccurate we had in house. Rampedup.io gave us a clean and easy to use solution to our database needs. 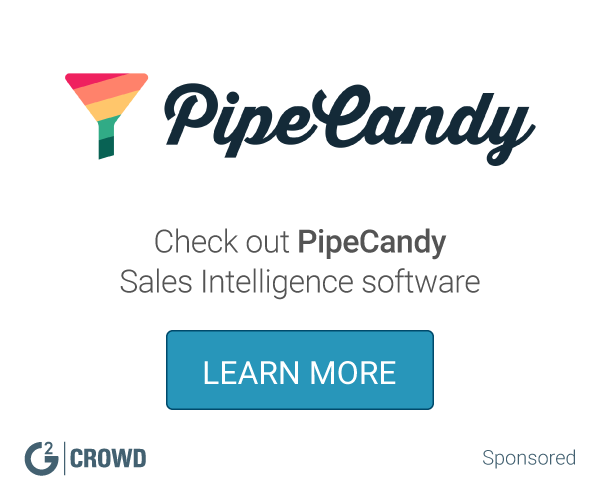 "A powerful Account-Based Sales platform"
Intuitive user experience and full of powerful data. Ideal for any salesperson. My Wins/Leaderboard took getting used to but once understood became a useful tool. You're able to easily ID additional influencers and trigger events that make prospecting more efficient. "It's got great contacts, but not many. " Great customer service! Great up to date contacts. I like how focused we can make our searches. I wish there were more contacts for our verticles, BUT I'm sure this will get better over time. Also a little pricey. Solid up to date leads. "Quick access to key company info"
"Good for lists of names"
I like that you can review LinkedIn profiles and other info online available for candidates. Inaccurate contact information. Also, many of the phone numbers are actually fax numbers. I wish resumes were available. Would recommend a trial before you buy. Thank you for the feedback Shea. We do provide fax numbers as part of the output so perhaps there was a mix up. We will be more than happy to provide direct dial phone numbers to your subscription. not having been able to sell this to my executive staff so that we could use it across the board. getting more access to decison makers/stake holders. The data is very reliable and I was able to get a large quantity of data for a reasonable price. It would be nice to have more integrations. Looking for leads for my business. "Great tool to fill your funnel"
It wasn't able to locate direct dials but that has been resolved with their new update. "Promising new solution for your sales software stack"
Ability to see relevant information and news from the company in a single pane. The salesforce and chrome plugins were great. The interface was clunky and needed some work last time I used it. I'm sure they have worked out those issues by now. Helped sellers identify trigger events within target accounts and sell in an account based fashion. "Excellent Product with a lot of value"
Way better than ZoomInfo and other data services. The CEO is very smart and knowledgeable about the space. * We monitor all RampedUp.io reviews to prevent fraudulent reviews and keep review quality high. We do not post reviews by company employees or direct competitors. Validated reviews require the user to submit a screenshot of the product containing their user ID, in order to verify a user is an actual user of the product. Hi there! Are you looking to implement a solution like RampedUp.io?